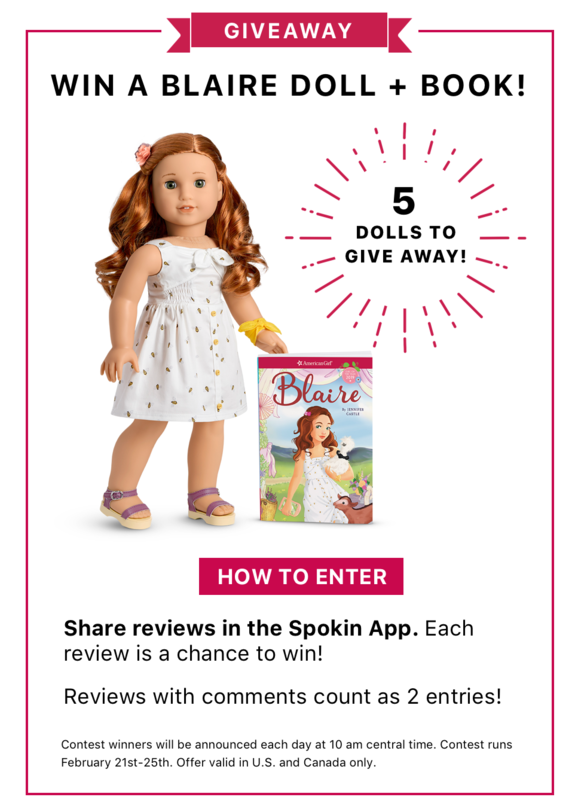 Known for their iconic dolls, American Girl is equally admired for their character-building stories that value overcoming challenges — a strength that food allergy families know well. This year’s Girl of the Year, Blaire Wilson, has a food sensitivity — a growing issue, along with food allergies, that American Girl is amplifying. Beyond the book, their cafes and birthday parties are impressively allergy-friendly. Why does each Girl of the Year have a story? Each Girl of the Year doll includes a book with an empowering story that focuses on foundational character-building and the power that comes from knowing who you are. The stories are focused on helping girls discover their sense of self and develop empathy. They act as both mirrors and windows, so girls can either see themselves or better understand others. What challenges does Blaire Wilson face? Blaire’s family runs a bed and breakfast on their sustainable farm in Upstate New York, so food is part of her daily life. When Blaire is diagnosed with a dairy sensitivity, it challenges her because food is integral to her identity. Food allergies and sensitivities are something that nearly every child can relate to because they have become so common. We included food related issues in Blaire’s story to help amplify this topic. How is the author of Blaire’s book especially qualified? The author, Jennifer Castle, has a daughter with Celiac disease and understands food-related health issues firsthand. Her experience managing this daily provides authentic detail to Blaire’s story. She also has Crohn's disease herself, a condition that is managed with a specialized diet. Can you explain the mistake on Blaire’s book? The Girl of the Year is announced every January. This past December, before Blaire’s official announcement, her book was made available on Amazon. The back cover of the first book in the series incorrectly stated that Blaire had a food allergy. This was an error because what she has is a food sensitivity. We know how important this distinction is, and we moved as quickly as possible to remedy the situation. In fact, the second book of the Blaire series discusses the differences between food allergies and sensitivities. To share a review, tap Share in the app! What steps did you take to correct this information? The first thing we did was apologize for our mistake through a Facebook statement and direct responses to anyone who reached out to us. Next, we corrected the digital synopsis of the book wherever it was used and promised to fix any future print runs of the title. We also pledged to publish an article on the differences between food allergies and sensitivities by Dr. Amanda Cox, an MD and Assistant Professor of Pediatrics at Mount Sinai Health System. This article will be sent to our email subscribers on February 26 and drive them to our parenting blog on americangirl.com, reaching approximately 1.5 million people. You once offered an Allergy Free Lunch Box and EpiPen — any chance they’re coming back? We’re committed to creating dolls and accessories as diverse as the girls that use them. The Allergy Free Lunch Box and EpiPen are no longer available, but we’re always exploring new ways to expand in the area of inclusivity, which may include making certain products available again. While your dolls are legendary, you also have cafes nationwide. We have 11 cafes and 4 birthday party facilities. We offer breakfast, lunch, dinner and afternoon tea, and on the weekends we serve brunch. Our menus are relatively consistent, which is a major benefit for food allergy families. Also, all our cafes are peanut and tree nut free. That’s big news! Why and when did you remove nuts? About 15 years ago, we noticed that many of our customers making reservations were asking about nut allergies. As the rate of food allergies increased, we decided to remove nuts completely from our menu. Our goal when a child comes into the restaurant is for them to have “the best day ever.” With so many nut allergic children, this was an easy decision to make. Can you accommodate other allergens besides nuts? We do our best to accommodate every allergy and believe we have options for almost any allergies our customers may have. We believe we have something for everybody. In the rare event we can’t accommodate a customer’s allergens, we will work with each individual to make sure their experience with us is a special one. Although we are nut free, we may use ingredients that have warning labels. Every cafe has a binder that includes labels for all our ingredients, which we are happy to share. We have training in place to make sure that meals for guests with allergens are kept separate; however, we do have allergens in the kitchen. What is your process for handling food allergies? When a customer with food allergies makes a reservation, our call center sends this information to the Regional Restaurant Manager and the local restaurant manager and chef. Also, all servers are trained to ask our guests about allergies before the meal. If we have a guest with food allergies, our servers are trained to bring a manager to the table. Managers are responsible for overseeing the safety of our guests and communicating with the chefs. The chefs use allergen flags to mark those dishes, and they are in a separate area. The server removes the flags when it is brought to the table so that guests with allergies can be safe while receiving the same dining experience. Do you offer allergy-friendly birthday parties? Our parties always include our signature pink-and-white birthday cakes. While all of the cakes are made off-site, we do require our bakers to be able to provide nut-free, dairy-free, or gluten-free options. Recently, we’ve seen an increase in red dye allergens, and we now request our bakers to offer cakes made without red dye in our bow decorations. What’s the best way for a food allergy family to have the “best day ever”? The best way is to let us know in advance that you have food allergies. While you can make your reservation online or walk in, we recommend calling (877) 247-5223 ahead of time. Your reservation will be flagged and sent to an on-site restaurant manager who will call you to confirm and discuss your allergies. Then they can help you navigate what is safe to eat. We also make our menus available online so guests can review them ahead of their visit.